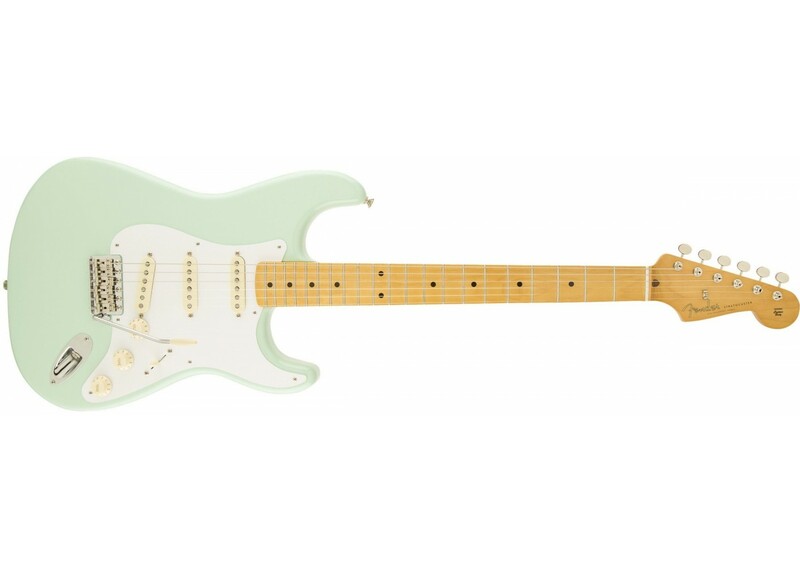 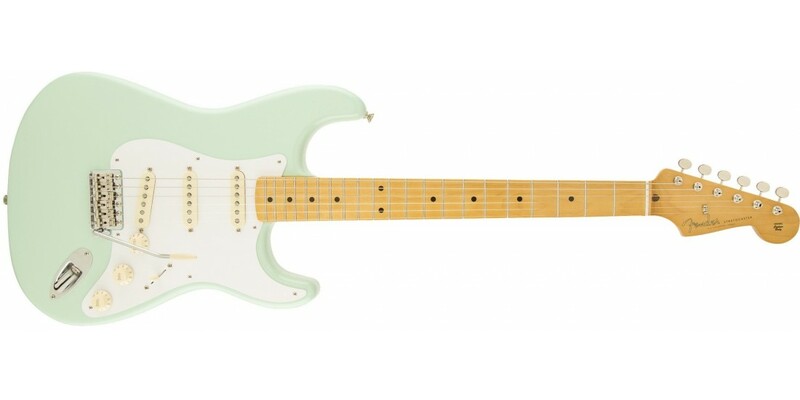 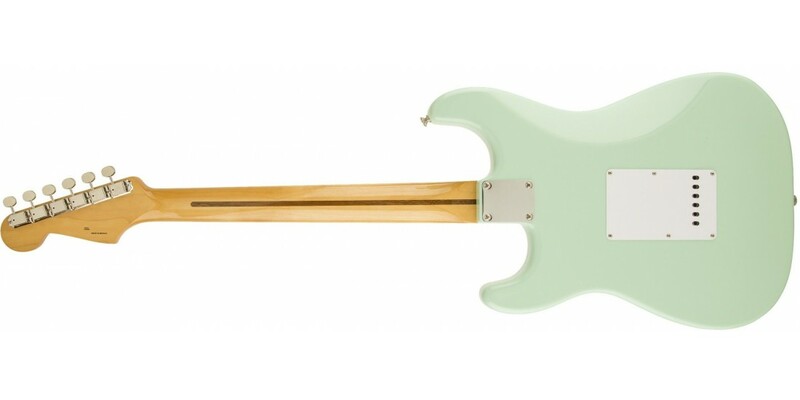 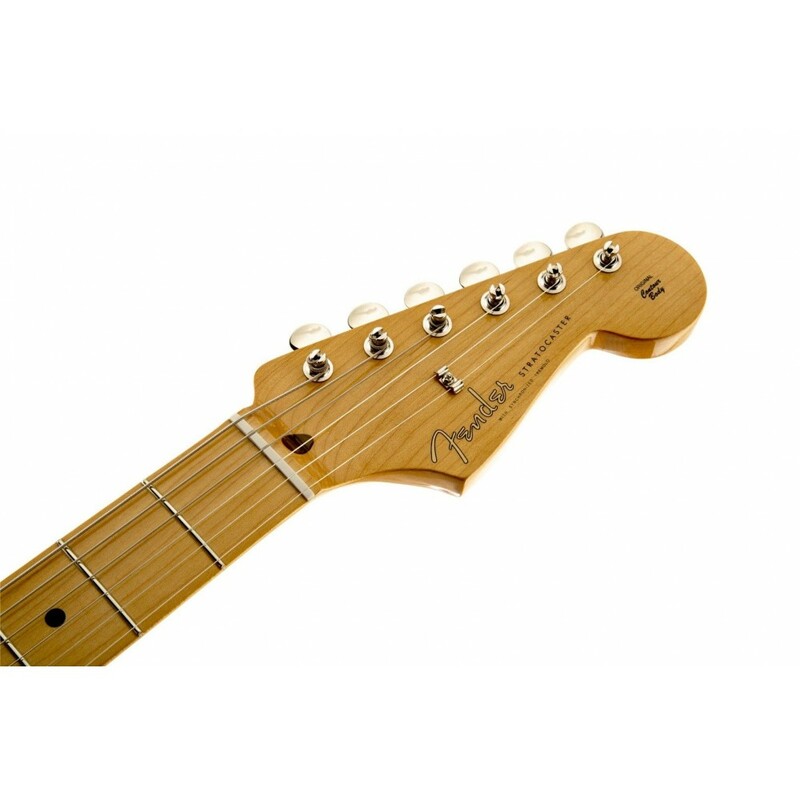 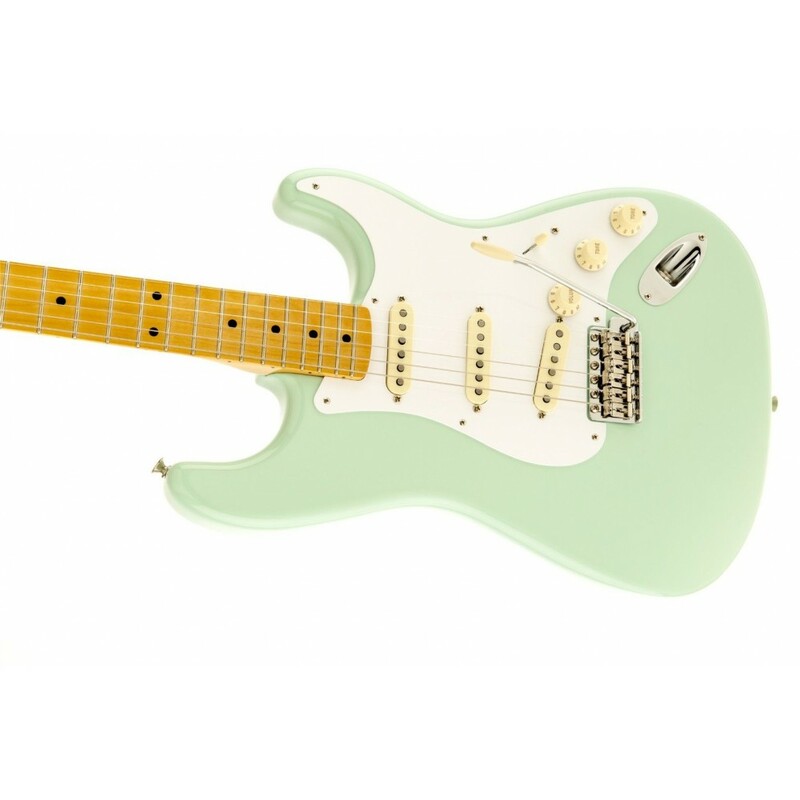 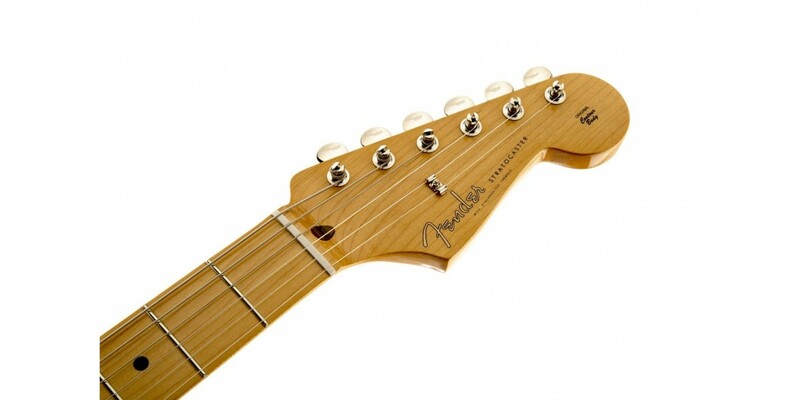 The Classic Series '50s Stratocaster guitar epitomizes the vibe of the '50s. 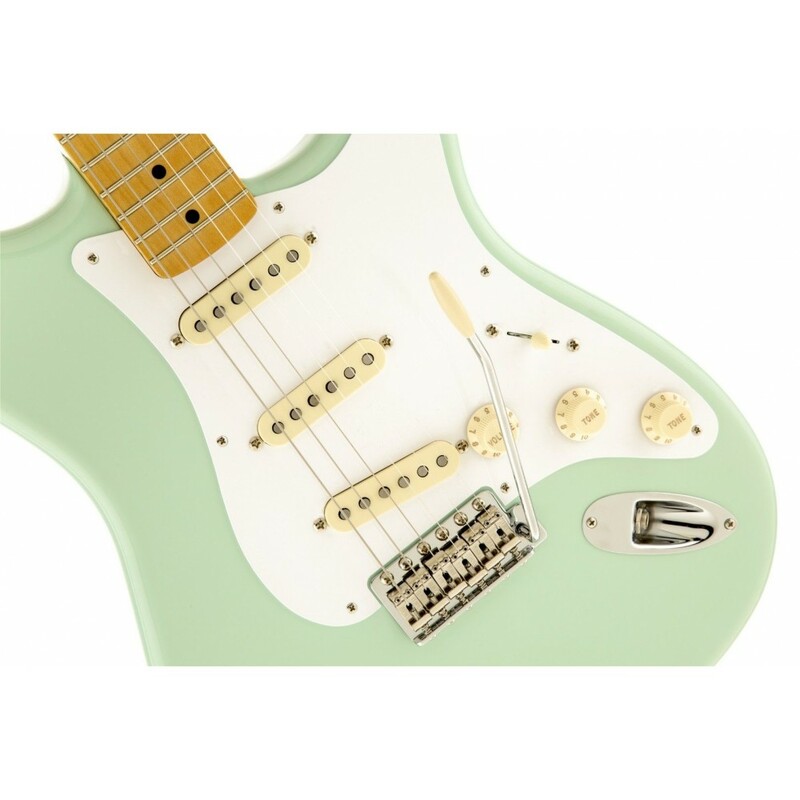 The color selection alone - Surf Green, Daphne Blue and Fiesta Red - takes you back to the era of diners, Ike and cars with fins. 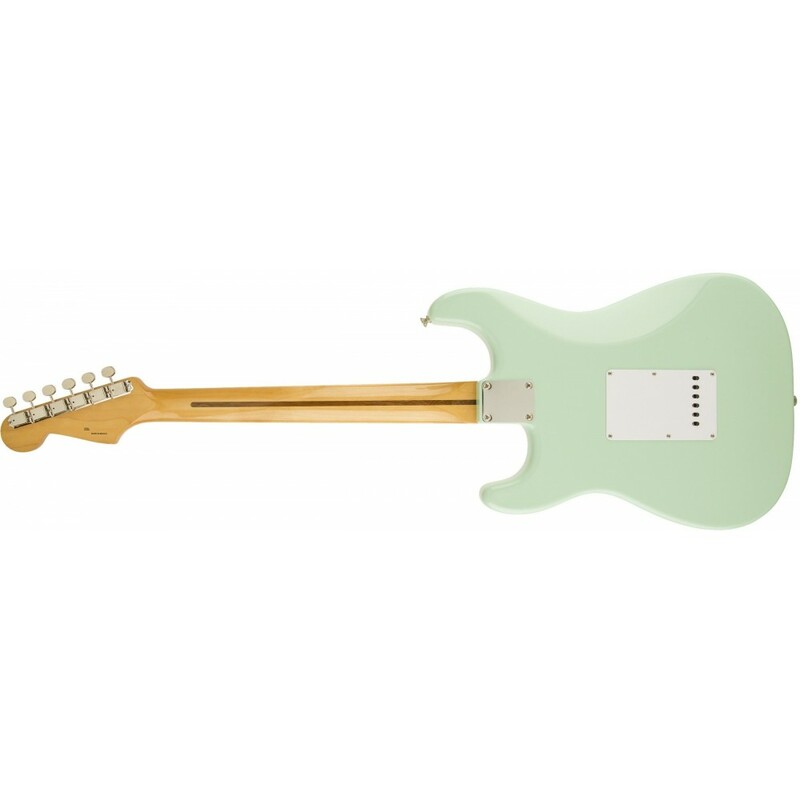 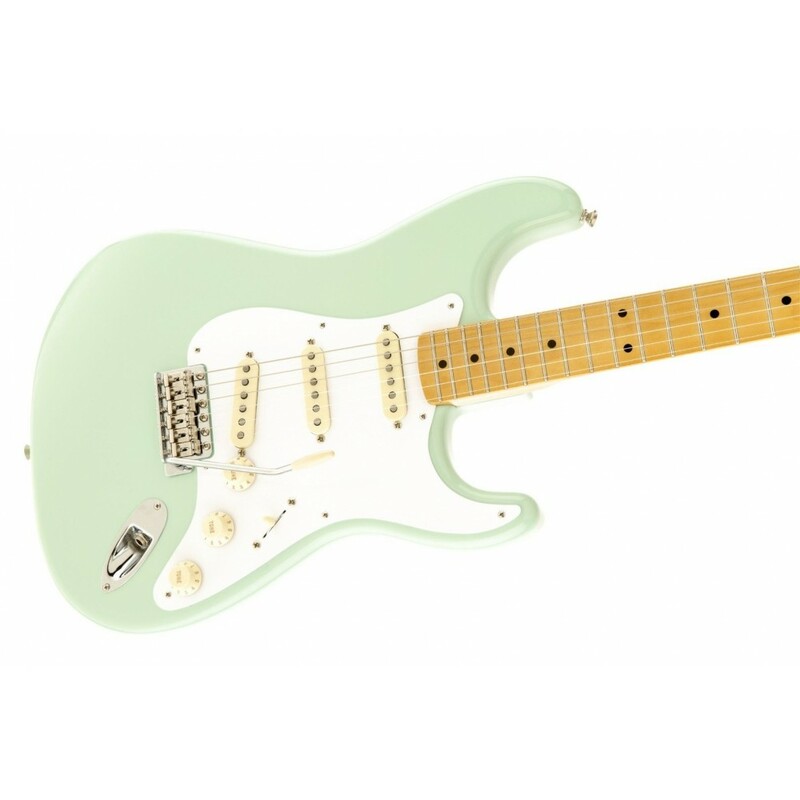 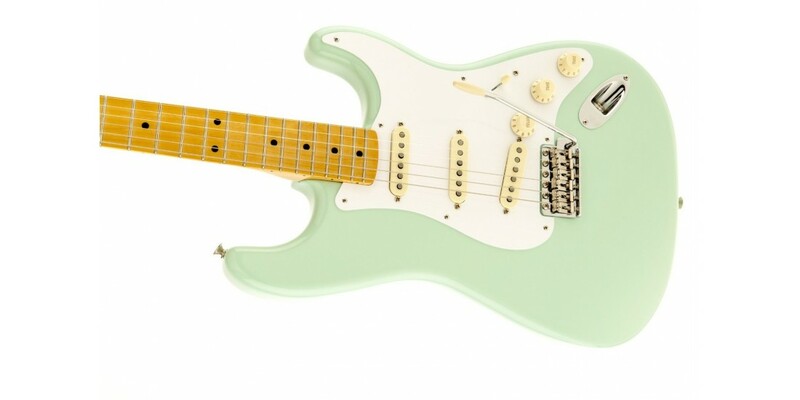 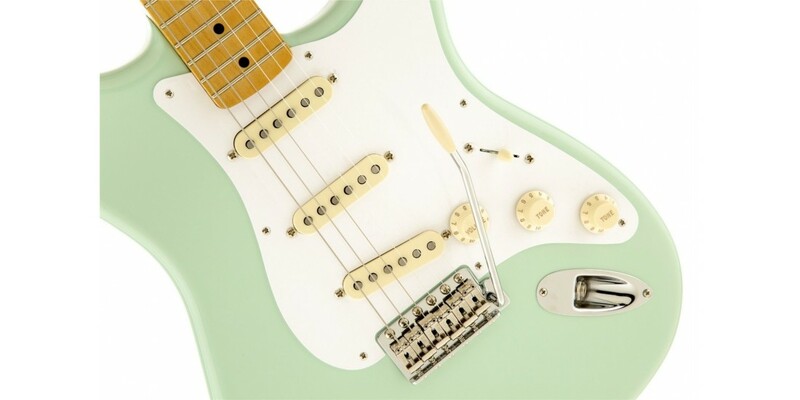 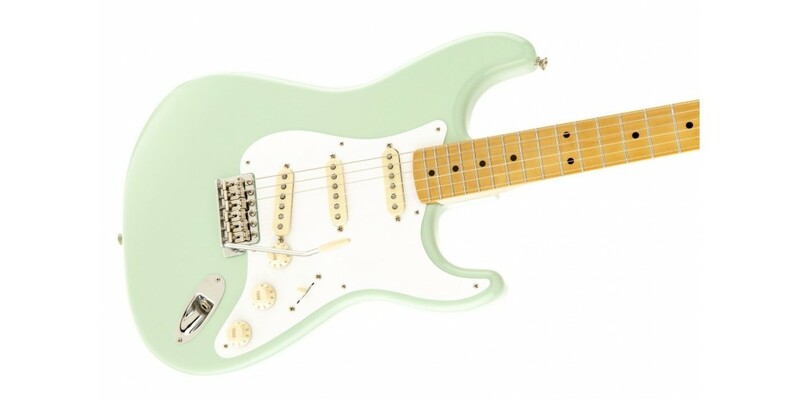 With a maple fingerboard, tinted neck, single-ply pickguard and aged plastic parts, it's authentically retro, and the three single-coil pickups with alnico magnet pole pieces deliver that unmistakable '50s Stratocaster sound.